Derek's Home and Business Blog: Does Content Decide Your Ranking In Recent Google Penguin Update? 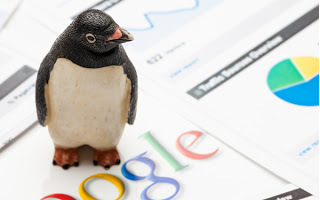 Does Content Decide Your Ranking In Recent Google Penguin Update? When Google debuted the new program they were going to use to help determine search engine ranking, Penguin, everyone discovered that they were going to need to relearn everything they previously thought they knew about search engine optimization. Many old websites who had always enjoyed top ranking were heavily penalized by the program and have only just begun to recover. The importance of content and SEO Article Writing is a topic that keeps coming up over and over again. When listening to some people talk about Goggle Penguin it's easy to think that the entire concept of using content in marketing must be brand new. That's not the case at all. Content has always played an important role in SEO. What the program changed was the way content could be produced. It's no longer acceptable for content to be stuffed full of keywords, for it to have been produced by article spinning software, or to be irrelevant. In order to provide the website with a boost in ranking, the web copy must be original, readable, and the keywords should be kept to about 1%. Today, instead of advising clients to stuff as many keywords as they can into the web copy, Content writing services advice creating content to be written with human readers, not web crawlers. Web copy that can be easily read and judged relevant will be given a good score and the websites ranking will improve. The amount of copy websites have generated as a result of the changes Goggle has made over the past few years has come as a surprise. Google doesn't penalize websites for not changing their web copy, or creating new copy, at least not directly, but the new ranking programs do rewards websites that have fresh content. It's not enough to have a website that's full of great content. Google wants webmasters to constantly update and revive the content, providing something new for visitors. The good news is that the entire website doesn't have to be redone all at the same time; revising and adding new pages every few months will appease Google Panda. Webmasters should divide their website into sections and create a schedule for updating each section. Guest posting on blogs has also become a great form of marketing. Most of these items were important to SEO programs prior to Penguin's unveiling. The biggest difference is that now the search engine giant has gotten more efficient about recognizing black, and even gray, hat SEO techniques and won't hesitate to punish any site caught using them. About The Author: When Google released Penguin on the market, Mark Long proved he and his Content writing services company were very capable of overcoming the effect of it. In no time at all, he was able to produce web copy that appealed to the program. Today he remains one of the more pursued professional in the field of SEO Article Writing and marketing. Until my next post on Wednesday on common Google AdWords mistakes and how to avoid them, have a great week ahead! I still believe that Google is not paying much attention on Contents. Matt is just talk, talk and talk.